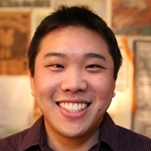 Chris Lim is an ex-Amazon engineer who convened a group at the company to study the theology of technology. Today Chris leads Theotech, a company activating a movement of Technology Entrepreneurship for the Gospel. Chris loves seeing the implications of a thoughtful theology of technology worked out in real world products. Technology has created the opportunity to communicate more broadly, while people are beginning to discover that vocation means serving God in all of life. Every person in business can live out their calling from God. What would it look like, in the Puget Sound Region and the world, if the people of God truly caught what it is to serve Him in all areas of our lives? Parking garage is off of 8th St and Bellevue Way, in the Lincoln Square North garage (across from the Bellevue Square mall.) Parking is free with validation. Please use the entrance into Maggiano’s from inside of Lincoln Square North. The entrance is near the elevators located on the first floor near Woods Coffee. Credit card only accepted at events. Registration closes at 5pm on Thursday, May 9th. $24 refund provided for breakfast registration if cancellation is 4 days or more prior to the event; after that time, there will be no refunds or credits. Name tags will be printed for those that register by Thursday morning, May 9th. Creating an account will allow you to register and pay for multiple events, view past registrations, and pre-populate some of your registration information. Creating a login is optional.